I make one of a kind silver jewelry. I have been making art as long as I can remember. I was fortunate enough to be raised by arts loving parents who encouraged my artistic exploration from a young age. (Arts & Crafts camp? Painting classes at the museum? Metalsmithing classes anywhere I could find them? Sign me up!) Fortunately my awesome husband also appreciates and supports my artistic pursuits! I worked as a professional illustrator at American Greetings for almost a decade and continued to do design work for a variety of clients from my home-based graphic design studio (SmARTwork Studio, Inc.) while raising my identical twin daughters. Spending all that time on the computer, made me really miss the hands-on act of actually MAKING things. So, I am back to my passion of metalsmithing. 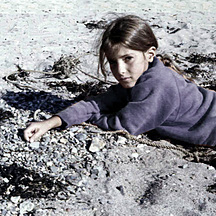 As a child I spent most of my summers at the beach. The seaglass and beach stones I collected over the years were filling bowls all over my studio and home. Then I realized I could creatively combine my two passions: making beautiful jewelry and beach combing for natural treasures. (Oh, and foraging at garage sales and flea markets for old keys, tokens and old sterling silver jewelry parts.) The result is SToNZ.